The Detroit Tigers just wrapped up their first week of spring training, but the Voice of the Turtle is already back in midseason form! 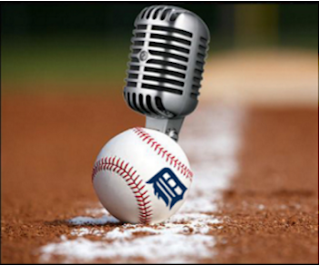 On this week's episode, Rob and Hookslide break down the first week of games for the Tigers in 2017… or as best they can, seeing as no one broadcasts them (looking at you, Fox Sports Detroit). From the good to the bad, your fearless podcast hosts tell you what to pay attention to, what to ignore, and whether or not we should really be worried about Anibal Sanchez already. With Opening Day just 34 days away, it's also time for predictions! Rob and Hookslide step back and take a look at all 30 MLB teams, and break down the potential division races before they unfold. They offer up their preseason picks for the World Series, as well as early predictions for MVP, Cy Young, and Rookie of the Year Awards. They also take to the latest batch of listener questions, and finish off the episode talking about how MLB commissioner Rob Manfred is doing his best to ruin baseball! Okay, maybe not all of the proposed rule changes are that bad, but don't get us started on the one they have planned for extra innings. - Spring training: can you even see it? - Does Justin Verlander have a shot at the Cy Young? 50:06 - Into the Mob Scene at Home: what about Anibal? 1:15:31 - The 7th Inning Kvetch: stop changing the rules!